A quick post today as I have lots and lots to do today. 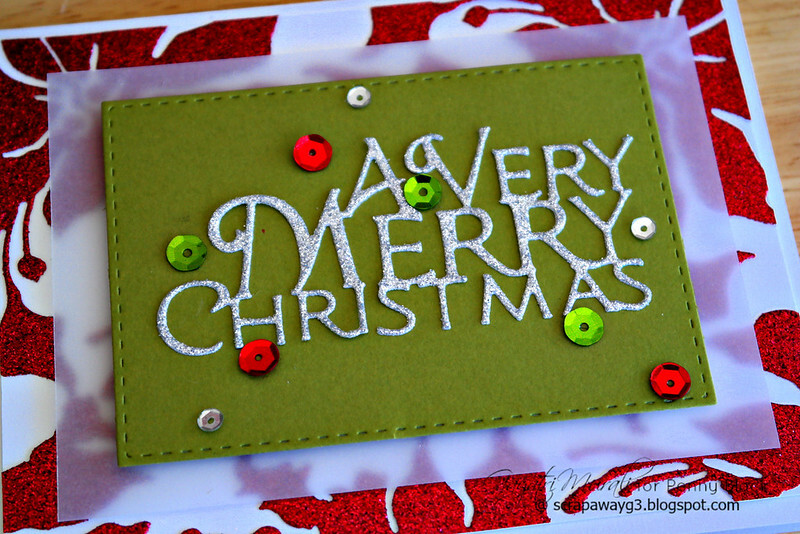 This is no stamp Christmas card using old and new dies from Penny Black. I love Penny Black Glorious die from last year’s release. I used it a lot on my Christmas cards last year especially in gold. For this card, I die cut the Glorious die using red glitter paper. I die cut a few of them so I can adhere them on a white panel randomly to make a background. Then I added a vellum panel. 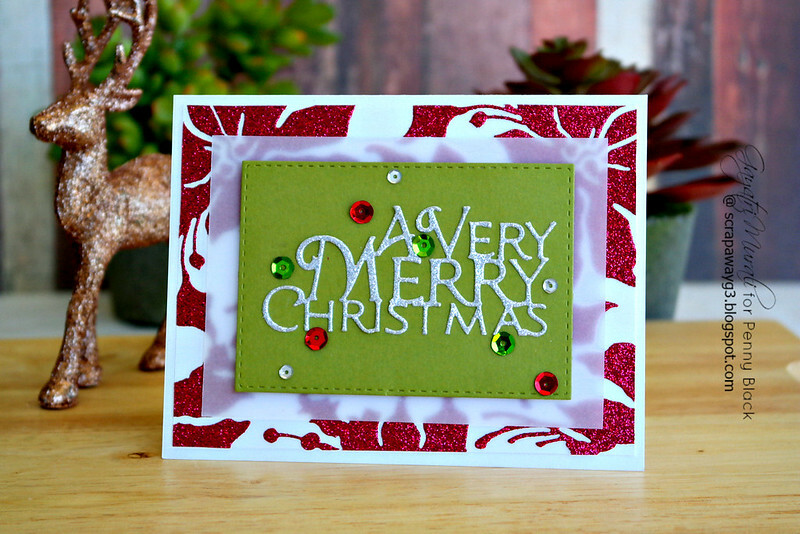 The sentiment is die cut using silver glitter paper. The sentiment die is called A Very Merry. I adhered the sentiment on a green stitched rectangle. I layered this on the vellum layer. Finally embellished using Pretty Pink Posh Classic Christmas and Silver sequins. Here is a closeup. Here are the two Penny Black Dies: A Very Merry and Glorious, I have used to make my card. This is absolutely stunning! I love that glittery background and the sparkly sentiment! The stitched panel and sequins look perfect together!